Check out Bechtel’s corporate website here or follow them on Twitter at @Bechtel. Check out the additional insights Ian provided before or after listening to the podcast. You can also listen to the episode on iTunes or Google Play. 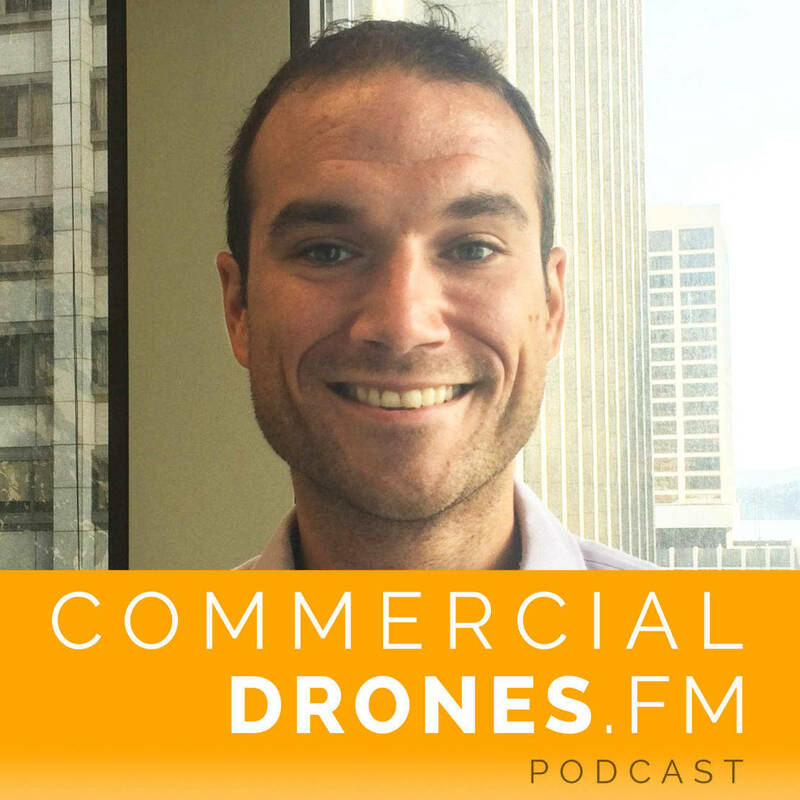 [00:00:35] IAN SMITH: Hey everybody and welcome to Commercial Drones. Fm, today we are sitting in the desert Las Vegas, Nevada at the Commercial UAV Expo and I’m here with Nate Fuller who’s the lead investigator for UAV use in a little company called Bechtel. Actually not little at all. Quite a global company so welcome to the show. Nate thanks for being here. [00:00:56] NATE FULLER: Thanks for reminding me. Happy to be here. [00:00:57] IAN: Thank you very much. Yeah my pleasure. So what does your title mean. So UAV lead investigator. What does that entail actually? [00:01:06] NATE: Yeah so Bechtel’s in the process of developing use cases for drones on our job sites. And so I’m responsible for the implementation of those drones and the updating of our standards and procedures. [00:01:16] IAN:Ok cool so you guys are investigating and vetting all kinds of different suppliers and stuff like that. [00:01:21] NATE: Suppliers and uses. I guess figuring out the ways in which we’re going to use them on our job sites. [00:01:26] IAN: Ok cool, you actually have a presentation here at the UAV Expo and it’s called UAVS at Bechtel. What works, what doesn’t and what’s next. What does that mean. What does what does your presentation about? [00:01:41] NATE: Well pretty straightforward. You know what works, what doesn’t, what’s next. So we’re looking at I guess half a dozen or so pilot programs that we’re working on at the moment and we found that there’s been a lot of successes in those pilots. And so it kind of summarizes what we’ve found in terms of what works and then also what doesn’t. There’s been a few items but not too many. And then also looking ahead you know what is it that’s going to change our industry by using drones. [00:02:07] IAN: Nice. You mentioned earlier when we were just getting acquainted that UAV or I’m sorry, that Bechtel has four different business units? [00:02:15] NATE: Yeah so Bechtel is a global company. We have business units in infrastructure, in mining and metals, oil and gas, and government services. [00:02:22] IAN: Okay great. So I would imagine three out of those four business units are very well suited for drones. The outlier being government services maybe. [00:02:34] NATE: You know even government services. ], a lot of those projects revolve around chemical demilitarization. We have projects in mining and metals for process plants and stockpiles and mining infrastructure and then we also projects oil and gas and chemicals so a lot of LNG facilities and then also an infrastructure, a lot of rail, a lot of airports. These types of projects. So it really runs the gamut I mean Bechtel. People don’t realize what Bechtel touches our lives and a lot of different ways. And a lot of these projects are huge projects that are multibillion dollar mega projects and with a lot of work there is a lot of complexity a lot of moving parts that need to be coordinated. And I think drones drones in a lot of ways offer the ability to kind of give that literal bird’s eye view of the job site and tie everything together. [00:03:18] IAN:Is Bechtel an American company or is it headquartered somewhere else? [00:03:22] NATE:We’re headquartered in San Francisco. [00:03:25] IAN: You’re in San.. Ok I need to do my homework. [00:03:28] NATE: We have offices all over the world. We have offices in Houston and in London and Brisbane, Santiago. [00:03:33] IAN: Ok so from Houston and then yeah I just yeah I shouldn’t I should have known. But actually I had some childhood friends and they actually had to move away from Houston and move over to Singapore because their dad was working he was like some VP at Bechtel doing something he was over in Singapore so I guess my perception of the company is that it’s just basically everywhere. [00:03:53] IAN: Ok cool so what. What projects specifically does Bechtel want to accomplish using drones. I mean like when we’re talking I mean OK we can talk about transportation like railway stuff. I mean I’m assuming you’re looking at use cases for drones over railways or? [00:04:13] NATE: So I guess I can just give a bit of an example of the projects that the pilots that we’ve been doing on these on these half a dozen or so projects primarily what we found is that drones are really good. As you can imagine in surveying. So when we’re doing precision surveying using photogrammetry drones provide a really good solution. Actually our surveying Department last year did a bit of a study and found that there was a 2 to 1 cost savings using drones over traditional surveying methods. [00:04:39] So the ROI is there already. And photogrammetry is a very well-established technique for surveying and I guess it gives a much better resolution using the drones because traditional traditional photogrammetry is done with a manned aircraft up at quite quite a height at 10,000 feet whereas the drones are able to actually come down a bit lower. And that provides much better accuracy in terms of what the surveying is nice. [00:05:04] IAN: OK so you mentioned also mining and stuff like that. Are you guys just kind of taking this specific as these pilot programs I mean do you have pilot I guess what I’m getting at is are the different pilot programs kind of specific to each like use case I guess. [00:05:19] NATE: Yeah and I think that’s kind of what we’re testing out at the moment is I guess I’ll talk about in my presentation tomorrow but what I found is that there’s really for platform use cases that we can use on pretty much every project within Bechtel. And then the great thing about drones is that once you actually introduced the drone to a job site everyone has an idea of how to use that information different ways to use it. I mean in my mind what a drone is in a lot of cases is an information system. So it provides us the ability to put something up into the air with a sensor attached to it and provide data back to us to make a decision or to act upon. [00:05:55] And so just having that idea in mind when the drones come out to the job sites everyone everyone has an idea of how it’s going to improve that work activities. But there’s those for platform use cases I guess across the half a dozen or so pilots that we’ve done there’s been a common thread amongst them. And so I guess I can talk about a bit about what those platform use cases are. [00:06:14] IAN: That would be great. [00:06:15] NATE: So obviously what I discussed earlier was was surveying precision surveying using photogrammetry. And again that provides us with digital surface models that our surveyors can use to track quantities or are or do change tracking. The second one is progress reporting. So just just simply having the ortho mosaic and ortho photo generated that’s shared amongst the superintendents in the area managers on a project just provides a bird’s literal bird’s eye view of the job site. And so as I mentioned earlier a lot of our job sites are large large scale not only geographically large but just have a lot of different work in the activities going on. [00:06:52] IAN: What would you say I mean you even I guess would be hard to give like an average size but are we talking like hundreds of acres or. [00:06:58] NATE: Well it depends a lot. A lot of the mining sites are that size right so you can have tens of kilometers of Haul Road that that that the mine closes. But you know and then an oil and gas site it’s our LNG facility it could be much smaller. But at the end of the day even within those small job sites there’s a lot of activity there’s a lot of intensity of construction going on I mean these are very intense construction sites. So I’m in a lot of a lot of different work areas so the area managers in these different areas aren’t necessarily talking and communicating. But the more they talk and communicate the more they can kind of plan their work in parallel the more successful the project will be. So what the drone information allows us to do is just provide that kind of benchmark that snapshot of where the project’s at. So that these managers can communicate and coordinate their work accordingly. So that’s the progress reporting element to the use cases. [00:07:52] IAN: OK. So what do you think. So we talk kind of about and we touched on like a bunch of moving parts in these you know specific construction projects or whatever or on the job sites. I’m curious as Bechtel ever I guess investigated yet. I’m sure it’s it’s ongoing and has not happened but like virtual reality or augmented reality on the job site. [00:08:15] NATE: Yeah definitely and I think that’s that’s an opportunity for improvement in terms of in terms of drone technology. It will be really great at some point to be able to bring the drones from say 200 or 300 feet down into the job site and that’s going to require a bit more autonomy and more sensors on the drones for optical avoidance. I mean at the moment you have drones that have some kind of rudimentary obstacle avoidance but really what we need is like semi-autonomous, autonomous drones that can be positionally aware that can that can identify people and assets within its vicinity and avoid them in order for our safety personnel to be OK with it. But once we get there you know once we get to that point we can then do reality capture from the drones and feed that back into our virtual VR, AR – augmented reality or virtual reality systems. [00:09:05] IAN: Nice yeah I imagine a future where there’s you know people on the job sites are just wearing like safety goggles as they normally would. Safety goggles, safety glasses and then they’re just embedded with tiny little screens and computers and their internet connected. They’ve got their own cameras on it’s recording for voice memos and then you can take that drone data that was just captured that morning autonomously from the drone and then have it overlaid on whatever you’re looking at maybe you’re looking at a stockpile and all of a sudden the volume of the stockpile that was taken that morning on the mine site actually pops up and it was from the drone that was processed via photogrammetry etc..
[00:09:38] So like you know I’m just curious what you know a large enterprise company kind of thinks about that so I guess you guys have identified the benefits. [00:09:47] NATE: Definitely use case so that that’s maybe on the five year timeframe you know that’s going to involve I guess integration of VR with withdrawn data capture. [00:09:55] IAN: Right totally. There’s actually there’s the here’s a little shameless plug. Epson the company the printer company which is how I know them actually they do a lot more stuff than that and they’re here at the UAV Expo showing off their Moverio glasses augmented reality glasses. And so if you haven’t checked out or talked to them I recommend checking out it’s pretty cool and I’ve talked about that use case with them. So I was curious about the enterprise perspective here end within the next five years yet totally sounds just about right for whoever’s making those safety goggles to like embed that technology. That’s awesome. [00:10:32] So for as far as like in these pilot programs have you found that you are kind of like searching for a specific a drone that’s specific to the specific use case like a drone platform or are you just kind of looking for a drone overall that you guys could deploy across the entire gamut of what you’re doing. [00:10:56] NATE: So we’re doing all of that. Basically we’re doing a lot of market research so a lot of it is figuring out what’s out there and the ways in which they can benefit our work activities. And then we’re also in there’s a lot out there I mean it really is. I use it a lot but it’s the bit of the Wild West as far as the drone industry is at the moment. There’s just a lot of stuff out there and a lot of people with a lot of ideas and some of it’s really good and some of it’s not quite as good. [00:11:21] And so we were trying to figure out what’s good and what’s going to help us and benefit us the most and kind of weed out the stuff that maybe isn’t quite as applicable to what we do. [00:11:30] IAN: Makes a lot of sense are you here at the expo kind of while you’re speaking of course but are you also kind of checking out some of the solutions looking at it as kind of an end user point of view. [00:11:39] NATE: Well definitely I think that the product review is out on the vendors out on the on on the showroom are are are great. You know just having that ability to kind of literally walknext door and have a look around and see what’s out there it’s it’s I’m excited about that that portion of this expo. [00:11:56] IAN: Very cool. And here’s a question for you. So there’s like this. I’m trying to get to the bottom of this it’s really hard to because it’s not that there’s not like a firm answer on this but whenever you add back during these pilot programs are you guys taking these programs as something that you yourselves are going to be operating these drones or are you looking for more contractors or third parties? [00:12:23] NATE: Yeah well that’s a that’s actually a very good question that’s that’s one of my key tasks in terms of implementation is do we want to develop our in-house capabilities and do it all internally or do we want to do we want to contract it out. And I think I think what we’re settling upon is that the answer is both we both need to develop our GISS capabilities in house. We need to have a pilot on staff which we do. So that battle has as a UAV pilot on staff and we need to develop those skills and procedures internally at the same time there’s going to be a lot of projects. [00:12:52] I mean Bechtel is unique in the in the large engineering procurement construction world in that we self performed about 80 percent of our work. But at the same time we subcontract a lot of that work also. So we need to we need to have a list of reliable vendors that we can rely upon to go to to provide UAV services for construction activities. [00:13:12] IAN: So that’s kind of a segway into one of the challenges that you guys are going to face. I mean being a global company there is regulations you need to be thinking about every single different country and in some cases it’ll be different states eventually for the different kinds of work you can do. So I would imagine that having some of those third party contractors might actually be a huge advantage in those localized regions where you have to. Okay we just need somebody that’s compliant that can do a really nice job in X area in the world. [00:13:43] NATE: And you’re 100 percent right. Yeah. So on one of our pilot programs it’s in Australia and we realized that we weren’t up to speed on all the regulations in Australia. So that’s exactly what we did as we went to a vendor and just said here’s what we need done. Can you figure it out for us so they’ve supplied us with the drone pilot. They supplied us with the drones and they supply us with the data platform data interpretation and in play in a place like the US. So our pilot, Bechtel’s pilot is based in Houston so we have much better in-house capabilities here in the United States than say Kosovo or Australia or some of these other parts of the world. [00:14:17] IAN: Nice. Okay. Yeah that makes a lot of sense. Okay cool so we get some validation there, that’s great. [00:14:21] NATE: I know you’re 100 percent right it’s difficult with a regulatory environment just being so fragmented worldwide and it’s understandable because it’s the early days and people are still trying to figure out what are the implications of this technology. Yeah. And so it’s understandable that the regulators are literally figuring out I can see based on the regulations I’ve seen in Australia regulations I’ve seen with 107 regulations in the United Kingdom it’s converging and it’s getting to the point where eventually I think it’s converging more or less on similar ideas. But you’re right it is it is very country to country specific. [00:14:54] IAN: Cool. So let’s go a little let’s back up a little bit so how did you get involved in a UAV lead investigator. I mean were you with Bechtel previously before you started on this project or what did you see like an internal posting and you’re like oh cool that sounds amazing. I want to do that? [00:15:11] NATE: Yeah well I guess my background is in Geotech engineering and I spent a few years down in Australia on a pretty large earthworks project. And I what I saw there was that we do monthly aerial surveys a month the aerial photography. But there was always there was always the question of quantity tracking. [00:15:30] IAN: With manned aircraft? [00:15:31] NATE: With manned aircraft. Right. But there was always this issue of quantity tracking and the contractors would report their quantities weekly or monthly. And so then Bechtel’s job my role was was to help verify those claims. Well it was always pretty difficult to kind of keep pace with it and I just over the past few years have been interested in drones and I realized that drones with photogrammetry could provide at least not not precision surveying it didn’t need to be precision surveying but it could provide the opportunity to verify these claims. Relatively quickly. [00:16:08] IAN: And then so you. [00:16:09] NATE: And so at that point I mean there is an initiative within the company to start innovating. I had a I had a proposal in the early early days of this of this innovation initiative to do earthworks quantity tracking and it just kind of went from there. I realized that if we got this drone in the sky to do prison serving Why can’t we use it to do like our scanning. And why can’t we use it to do material classifications in some of these other other uses that we could see on the job site. [00:16:39] IAN: So are you guys at. Are you at liberty to share what kind of drone hardware you’ve been kind of playing around with and maybe some of the software by chance that you’ve been looking at or vetting. [00:16:52] NATE: Yes, I guess the two use cases that I mentioned earlier are the progress reporting and photogrammetry are pretty well established right so there’s a lot of vendors that have more or less commercialized that functionality. So you have the sky catches of the world you have the 3DR , you have the Red birds. They do a really good job of providing that platform. There’s a lot of issues with a large company like back to this is industry wide but that cloud based platform provides security issues to us. [00:17:22] NATE: And I think I think that’s something that we need to address and work through. But fundamentally those those couple of use cases are pretty pretty well commercialized by the likes of those guys. [00:17:31] IAN: And so what are you looking for when you’re vetting these these solutions. Some of the solutions you mentioned are hardware plus software solutions. Some of them are just service solutions some of them are only software solutions. What are you personally as a company looking for when you’re choosing. As a large company you’ve got to be aware of many different things. That’s just the nature of the business. What deep What kind of things do you pay attention to? I mean and the purpose of this question is to kind of like maybe give some would be drone entrepreneurs some insight into how to help them land some business. [00:18:08] NATE: Sure and really what we’re looking for is a complete service package. So I can see at the moment what we have is the industry is broken down really into three bins as far as far as Bechtel is concerned we have the drone manufacturers and that’s the DJI in the sky catches etc, of the world. You have the drone pilots and with Part 107. Now that’s kind of anybody right. I mean anybody can go and relatively quickly get up to speed on what the regulations are and be certified to fly. [00:18:37] NATE: And then you also have the data hosting data platform services. [00:18:41] NATE: And what I’ve seen is that a lot of companies offer one maybe two out of those three services but what Bechtel would want is someone who can just come in and just execute on a UAV service for us from top to bottom and provide us what we need and be that partner and be the partner. [00:18:56] IAN: Ideally across the whole phases of your operations I would imagine, or geographic locations etc.. Cool. Okay that’s awesome. So we talked about we talked about some of the projects. I mean you mentioned your personal anecdote of doing that large earthworks project and you had the manned aircraft coming and you needed a better way to do volumetrics or quantity tracking. [00:19:23] What are some of the I mean well I guess that answers the question already is what I’m really searching for is how did you like what were you doing before drones like what are you basically kind of trying to input a drone into the workflow to do maybe other than like replace airplanes in those areas. We kind of talked about that with the surveying the quantity tracking volumetric stuff. Is there anything else that were missing? [00:19:48] NATE: Some of the some of the basis for future innovation could be quality control quality assurance. Is that what you’re looking at as like what are some of the other uses that we can get on job sites using drones? [00:19:59] IAN: Yeah maybe you can expand on that. What do you mean by quality control and assurance. [00:20:03] NATE: Well, I mean with so as I mentioned earlier really at the end of the day a drone is an information system and so if we can get quality information using drones better quality information more thorough quality information using drones than we should be using them. So there’s been a lot of attention paid to bridge inspections. Bechtel builds bridges we also build process plants and LNG tanks and a lot of other facilities. You know why can’t we use drones to do quality inspections on those? [00:20:30] IAN: Nice. So if all goes well which I’m sure it will. How many drones could you see backfill using in the next few years? Well I’m not looking at it like a specific number here but maybe an estimate like how big do you see this becoming for the company? Do you think it’s like really going to be a an important initiative moving forward? [00:20:50] NATE: It’s certainly a focus of our internal innovation group so that there’s eyes on it from from that perspective. Personally I think I’ll go out on a limb and I’ll say that within the next three years we’ll have drones flying on every project within back to like I can see a lot of uses that are just latent that haven’t quite been discovered yet. But once those uses are discovered I think there’s going to be a huge impetus to to get these on every project. And if we’re not flying daily we’re at least flying flying weekly. [00:21:17] IAN: That could be then I would imagine at least hundreds of drones in there and I potentially could be up in the thousands I’m sure there’s lots of jobs you guys do. I will ask you to be specific on that. What do you think about? So there’s some of these companies that are popping up and they have like a drone that lives on the job site, I’m talking about it has its own little home and it’s got like this little box that’s motorized and presumably has solar panels on it. [00:21:46] The drone every day at. I don’t know 6:30 a.m. will emerge from its slumber and the doors will open on the box. Drone will take off. It’ll fly the site automatically come back and land right inside the box again where its batteries are recharged and the data is uploaded automatically into the Internet and etc. What do you think about that. Have you looked into anything like that and do you think that that’s desirable or useful in any way? [00:22:14] NATE: Sounds very sci fi. I’ve seen companies that offer that. The issue is at the moment and this is an area of I guess evolving technology but we need better flight times. So at the moment we can we can cover about 10 acres, with the drones flying at about 100 feet because with 20 minutes of flight time if we could if we could get more flight time out of it and consequently more area coverage it would be much better. But yes I’ve I’ve heard of these technologies and the issue is is that it’s the charging and the battery. So you hear what he has to come home and dock and get recharged with the solar panels and then at the start of the day maybe at the end of the day he goes up and flies the site. I could see some use in that. [00:22:53] IAN: Yeah. OK. Yes. It’s very nascent that specific use case but there are companies out there that are trying to remove the human from the equation like completely I mean you see Delft Aerial Robotics DAR, out there trying to do that over in in Holland. [00:23:12] NATE: Yeah I guess in that specific use the issue from a construction perspective would be safety. So a lot of times you can’t remove the human element because you need to do a preflight check and make sure that there’s no obstacles in the way as his drone was up in the air and does his flight. So you might always need a person there to actually observe it and check that the area is safe. [00:23:32] IAN: True and regulations are lagging behind that as well you have to have some kind of monitoring that flight but that’s a great point actually. OK. Interesting. So I’m sure we’ll see that kind of technology develop. I’d love to get one of those people that are involved in those projects on the podcast one day to see what they have to say about it. Ok cool so from those use cases and from these pilot programs that we’re talking about. Where do you see the biggest benefit to Bechtel like is it in terms of safety or maybe time savings or even money savings? [00:24:05] NATE: I think the benefits are yet to be seen, we’re still figuring that out. As I mentioned earlier our surveying Department did that study last year where they recognize a 2 to 1 savings just in surveying alone. So there’s ROI that’s where there is a return on investment. The reason that every project manager should be using drones for elite surveying in terms of where the benefit comes from its schedule and its cost. Right. So as the industry becomes more commercialized and costs comes down and we find more uses out of it it’s definitely value adding and there’s definitely a business case to be made. [00:24:39] IAN: Okay. And as far as like some of the actual like hardware that you’re using are you able to like. Are you guys using any DJI drones if you don’t want to, if you can’t answer that’s fine. [00:24:49] NATE: I guess we can talk. So we have Skycatch drones and we have DJI drones. [00:24:54] IAN: OK cool. So yeah. So and then the follow up question to that was you’d mentioned endurance and flight time as one of the things that you would like to improve. Well maybe solar panel trons but I was going to say fixed wing drones. Have you guys done any investigation into that. Is that something that you’re interested in or maybe there’s challenges to the whole launching and landing process. [00:25:20] NATE: Right so the issue with the fixed wing drone is that they need a bit of a runway to get going. So for small job sites they’re not they’re not extremely useful on more compact job sites we’re typically using quadcopters. [00:25:32] IAN: OK, those can get the job done for sure. [00:25:32] NATE: On long linear projects like road ways and pipelines. We’re going to be looking at fixed wings. Now the issue with that is that part 107 hasn’t really kept up with our needs. So on a pipeline project for example you have to line of sight requirement. Well I know that there are exceptions that are allowed and I think it’s one of seven point three where you can actually register and have an exception to that line of sight requirement but we need to get a kind of I guess feel out the regulators and what we come up with a list of acceptable exceptions. [00:26:02] IAN: Yeah absolutely I agree. And that’s a very good point is that fixed wing drones are a little bit stymied by the regulations in that regard. They excel at long linear distances. And if you’re dealing with linear infrastructure that’s exactly what you want to use. You don’t want to use a quad copter for that just because the endurance is not as good as you would like it to be. But that also brings up Amazon, they’re getting a lot more cooperation from the U.K. government doing their primary delivery project over in Cambridgeshire in the U.K. And so they’re over there in England doing their drone operations so yeah I guess if you guys really wanted to you could go to places where the regulations would be a little bit more friendly. Then he can do some testing and stuff over there if you needed to. [00:26:49] NATE: It would be interesting to see how that Amazon initiative develops because for tool delivery or or medical supply delivery it’ll be interesting to see see how that pans out. The issue is payload capabilities. [00:27:03] IAN: Yeah yeah they’re looking at I think some really VTOAL stuff. Vertical take off and landing get a little bit more endurance and more efficiency aerodynamically out of the batteries and whatever the power sources when in forward flight after you transition from the vertical takeoff. Yeah it’s going to be interesting to see the delivery how that how that kind of like winds up. I mean google is using like a little fishing line to lower things down onto the ground I mean I don’t know there’s there’s not like a standard way. Best way of doing delivery yet, Airbus you see had this design competition and they had some proof of concept. [00:27:43] Prove that like a large aerospace company that typically moves at a snail’s pace can be very rapid in development and actual production of the drone systems that they have like a six a a basically a competition that had people do like six months of work and then they kind of made like the concept a reality and I think actually at their booth. [00:28:06] NATE: They are demonstrating and you saw that it’s cool stuff. [00:28:10] IAN: Yeah. Nice. Awesome. So looking so looking like five years into the future for now do you see more use cases for drones or where do you want this to go like. Personally what do you see? You know as far as this goes the whole drone adoption enterprise. [00:28:28] NATE: Yeah I mean I really see it starting with the baby steps of getting on the site for precision surveying. I think that that’s a very demonstrable benefit to the company. And then further once the drone is actually on the job site all these other use cases just come out of the woodwork. And I think that’s and that that’ll be the interesting thing to see is it. Is it quality control? it could be quality control. Is it inventory management? we’ve been looking at using drones for inventory management using RFID or Bluetooth connectivity to track assets and track personnel. There’s just all these other use cases that are just out there just waiting to be discovered. [00:29:01] So once we actually get the drones on our job sites and then furthermore once we’re able to bring the drones. Like I said from 200 to 300 feet down into the job site with optical avoidance and all of the safe autonomy that’s necessary to do that. So that’s often said the sky’s the limit at this point. [00:29:16] IAN: Well I knew exactly what you were going to say, the sky’s the limit. Well hey Nate thank you so much for being on the show. [00:29:22] NATE: No worries, it’s been great. [00:29:23] IAN: Yeah thanks thanks for being here. I’ll catch you out at the rest of the conference but if you guys want to check out just go to their corporate WebSite. I’m sure it’s Bechtel.com and you can check out some stuff that they’re up to. Maybe some big projects. And if you want to follow the podcast please do @dronespodcast on Twitter or Facebook.com/dronespodcast, shoot me an email or join the conversation on Twitter. If you have any questions comments let us know how we’re doing. But we’re really happy to be here at the UAB Expo. And thank you once again Nate. [00:29:59] NATE: Yeah thanks Ian. [00:29:59] IAN: Alrighty. Take care everyone. Cheers.